I attend food shows to learn about the latest and greatest new healthy products. I swear it’s for more than just the fact they are usually dishing out delicious samples. I peruse the aisles of health food stores for inspiration. Lame, you might think. But I love it (though my bank account does not). In October, I did both these things. I went to the Delicious Food Show and I attended a brand ambassador event at Goodness Me! Natural Food Market. **Note: On Dec 31st, the discount becomes 20%. This spray is life changing. I gave up cooking spray years ago because it was always poor quality oils and full of chemicals (I recently read the back of one and it had ‘propane and butane’ in it. So, you can imagine my excitement about being able to use a spray again that is 100% coconut oil and ghee (clarified butter). Goodness Me! gave me this bottle for free, but I can say it’s almost gone and I will be back for another. The Raw Vitality brand is a gem I came across at the Delicious Food Show, and I can say they have now become my cracker of choice. 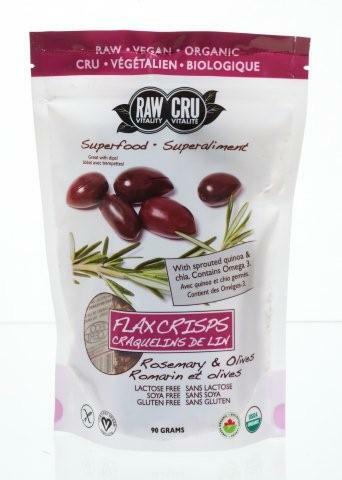 Like the name sounds, they are raw, and flax based and have 100% real ingredients. Flax seed is a great source of Omega 3s, and fiber and has beneficial properties to help balancing hormones in females. This company also makes raw brownies & macarons that are delicious and low enough in sugar you can have them as a snack! I had actually never used pumpkin seed oil before, and never really thought it would have much purpose, but I was wrong. 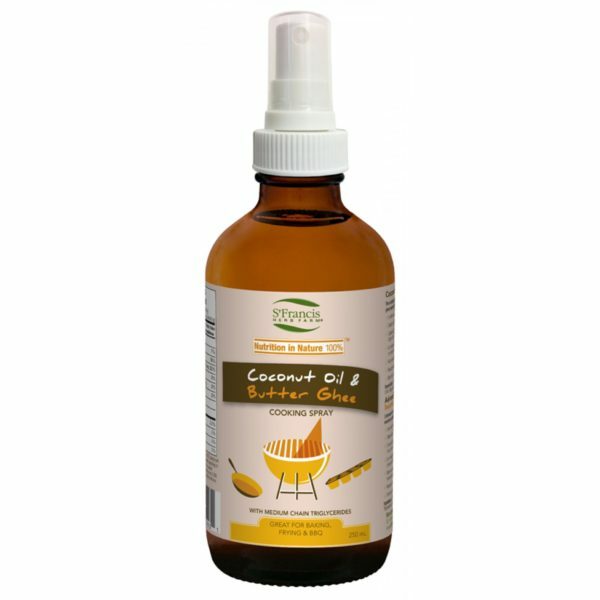 I also sampled this pumpkin seed oil at the Delicious Food Show and instantly bought a bottle of it. It has so much more flavour than a regular oil that you really don’t need to add much more to the dressing other than a little bit of sweetener, like maple syrup and some salt & pepper. 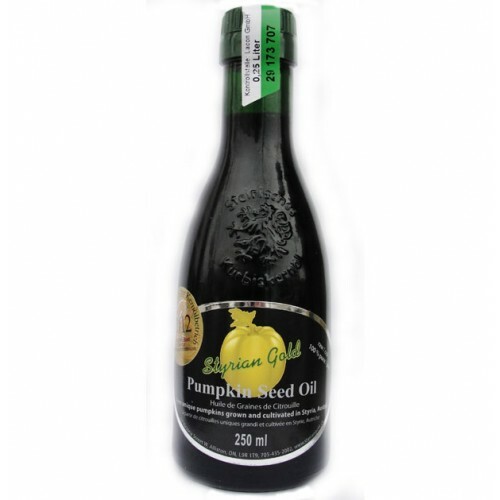 Pumpkin seed oil is a GREAT source of healthy fats and is high in zinc, which is beneficial to your skin, nails & hair. This particular one has not been processed either so is super nutrient dense. I’m not sure if it’s the cold weather, or the fact that I’m drinking a lot less coffee than I used to, but tea is my THANG these days. Tea brands are popping up left, right and center, but you really have to be careful of what sneaky flavours and ingredients are in there. Even the beloved David’s Teas have a number of additives and artificial flavours. 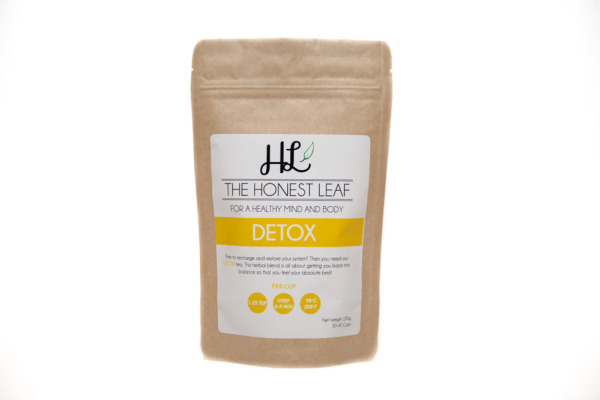 The Honest Leaf is actually a line of teas made by a nutritionist. There are zero ingredients that are not 100% pure and each tea has a different wellness benefit. Lately, I’ve been drinking the detox tea and love it. It’s one of the best ‘detox’ teas I’ve tried actually. What are you waiting for? Instead of trekking to the health food store through a blizzard (up hill both ways), stock up from your couch. *Note: In full transparency, as a Goodness Me brand ambassador, I receive a tiny bit of compensation should you use my discount code. I’m a huge fan either way though, and would be shopping there, discount or not!